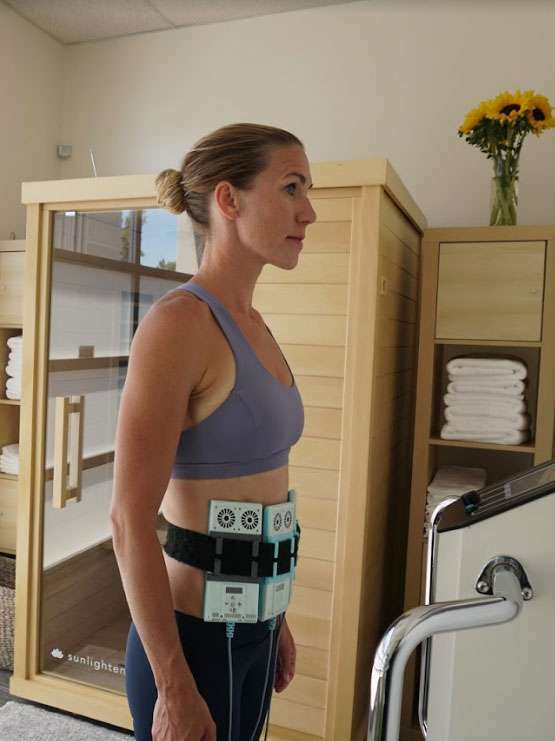 Revolution In Motion’s Detox Room in our Agoura Studio is part of Dr. Heus RESET Program inspired by the struggle of patients we would see who eat the right foods, are not overeating and exercise regularly but still have stubborn body fat. In reality, it may not be the typical fat that we all think of causing the issue, but instead excess inflammation and lymphatic stasis. Often times this ‘fat’ is actually a byproduct of chronic systemic inflammation. Chronic inflammation can be the result of food allergies or sensitivities, environmental triggers, blood sugar imbalances, infections, autoimmunity, injury, sleeplessness and stress. Inflammation itself is a great defense mechanism of the body when tissues are injured, but it’s been seen to easily overstep these boundaries leading to chronic inflammatory states. This chronic inflammation may result in weight gain, specifically in the midsection, musculoskeletal pain and stiffness, memory loss, depression and anxiety as well as the cause of many diseases. We start out with photoactivation lights which release stored fats and inflammatory by-products which are burned for energy or eliminated from the body by the liver, kidneys and skin. While wearing the lights you are standing on a whole body vibration device, which promotes blood and lymph circulation supporting elimination of the fats and wastes. An infrared sauna is the final step promoting blood vessel health, circulation, relaxation and immune modulation. During this process we enhance your results by providing a circulatory booster before vibration and light therapy, a detoxifying cleansing drink before the sauna and electrolyte enriched water during the treatment. We also provide you with Dr. Heus’ clinically proven 2 week Reset Diet to maximize your results. The Reset Diet eliminates inflammatory, autoimmune and acidic foods along with lifestyle changes for a 2 week period.